Hong-Kong manufacturer Meike have unveiled an intriguing 6-11mm F3.5 fish eye lens for full-frame and APS-C cameras. This fish eye zoom has a constant aperture of f/3.5, minimum focusing distance of 15mm (at 6mm), measures 64x94mm, and weighs 541g. 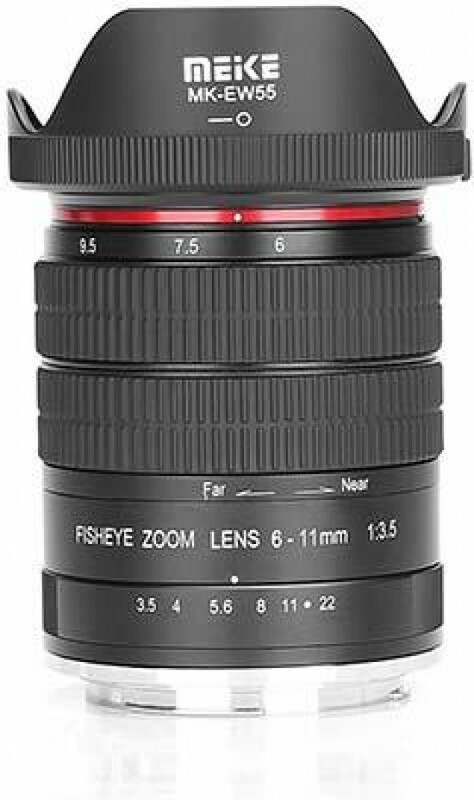 The Meike 6-11mm F3.5 Fish Eye Lens is available in Canon and Nikon mounts.